What should I get for Texas health insurance? Home / FAQ / What should I get for Texas health insurance? Find health insurance quotes in Texas by entering your zip code. You will instantly receive health insurance quotes to fit your needs! Are you just starting out with children somewhere in the future? 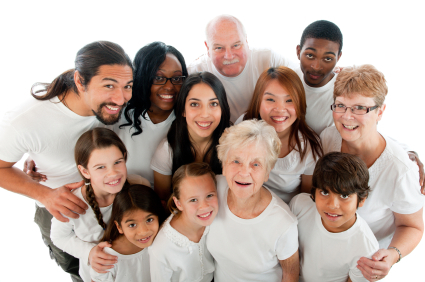 Are you an established family that has an array of health insurance needs? Are your children grown, and you are looking to supplement Medicare? The answers will help you to get insurance to fit your needs. A second area that you need to assess is how much health insurance you can afford. There are different options for health insurance in Texas that can help you to save money while providing peace of mind. Should I get an indemnity plan for my health insurance? Indemnity plans allow you to choose your own doctors, hospitals and other health providers. This gives you the flexibility and freedom to choose those providers who are convenient or desirable for you. Most indemnity health insurance plans have a monthly premium that pays for the coverage. The premium will get higher as you purchase more health insurance. It will also be higher if you have a spouse or children on the plan. There is also a deductible associated with most health insurance plans; a deductible is a certain out-of-pocket dollar amount that must be paid by you for health insurance. Once the deductible is met, then the insurance company begins to pay for all approved health care costs covered by the insurance. Indemnity plans are generally good options for those with low health care costs who are looking for coverage in case of an illness or accident. Should I get a managed care plan for my health insurance? Managed care plans, also called health maintenance organizations (HMOs), have a list of health care providers from which to choose. You must get your Texas health insurance through one of the approved providers, and you must be referred to an approved specialist by your doctor. While HMOs limit your freedom in choosing a health provider, they generally provide fewer expenses that must be paid upfront by you. There are usually co-payments that are required for services rendered at doctor’s offices and pharmacies. The insurance then pays all or a percentage of the services rendered by the health care provider. HMOs will usually cover you if you have to visit a doctor or hospital that is outside the network, such as while on vacation, but the percentage of coverage will be lower, and the health care provider will bill you the portion not paid by the health insurance. Managed care plans are usually a good choice for families with children, as you always know about how much a prescription, trip to the doctor or emergency room visit will cost. Is a health savings account right for my health insurance? Another option for those looking for health insurance in Texas is a health savings account (HSA). The HSA is a savings account that you put money into that can be used for medical expenses. The major benefit of an HSA is that the money you put into the account is tax-free. The amount deposited into the account is deducted from your Gross Income, making your tax responsibility to Uncle Sam lower. For instance, instead of paying a monthly premium for a health insurance plan, you put that money into the HSA. The money can then be used towards approved health costs such as doctor’s visits, prescription costs and some over-the-counter medicines. If your gross income is usually $30,000 annually, and you deposit $4,000 into your HSA, then you would pay taxes for only $26,000.This saves you and your family in the long run. Usually health insurance providers require those who want an HSA to purchase a health insurance plan with a high deductible. This is a good idea to protect your family’s assets, as most HSAs will not have enough money to cover the thousands of dollars in medical bills that can result from a serious illness, hospitalization, or accident. The high deductible plan will cover your medical bills should they reach large amounts. How can I control the cost of my health insurance plan in Texas? Firstly, to lower the cost of any insurance you must lower your liability in the eyes of your insurance carrier. Just like those who have many tickets and accidents pay higher car insurance rates, so too do those who take risks with their health. Don’t engage in health damaging behaviors such as smoking, excessive drinking and unhealthy eating. Try to stay physically fit and eat a healthy assortment of foods. Another way to control the cost of your health insurance would be to raise your deductible. Higher deductibles will result in lower premiums. However, if you have a medical life-event such as a pregnancy or accident, then that high deductible will have to be paid out of your pocket until the deductible is met. A third option for low-income families is to see if you qualify for a state or national plan. Medicare is offered for US citizens over 65 or those who have certain disabilities. The plan helps to pay for medical care. A similar option for those with low income is called Medicaid. The Texas Department of Insurance is a reliable source of information for researching health insurance providers that conduct business in the state. Use your zip code now to get affordable health insurance rates for you and your family.